Check out this picture of the view from one of the farms on our Farmstay program! 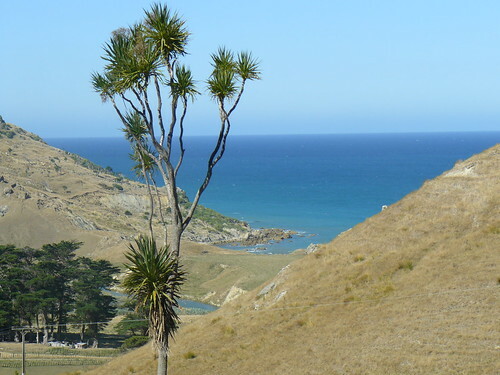 This entry was posted in Casual Friday, INTERNeX, new zealand, Picture of the Week and tagged beach, farm, farm stay, picture, picture of the week, view on April 5, 2013 by INTERNeX New Zealand. 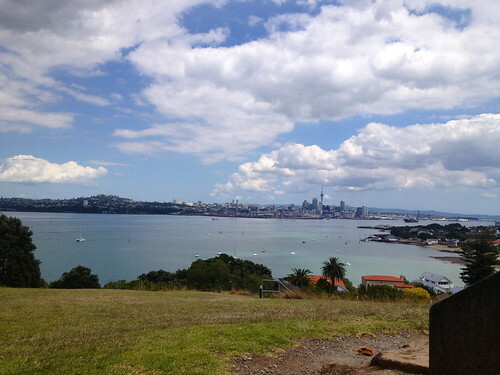 Keeping in theme with our last post about the Devonport Food and Wine festival, I thought I would write a little bit about Devonport and North Head as it is definitely one of the top things to do in Auckland. 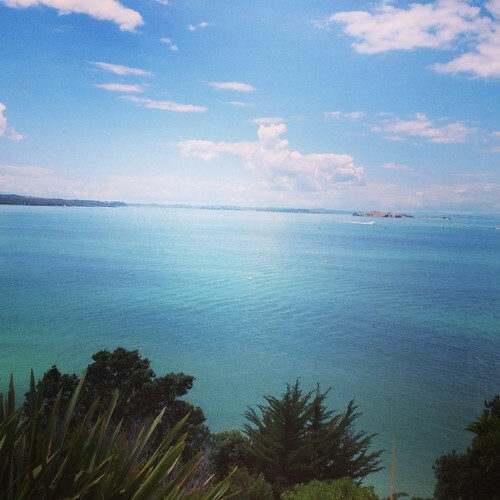 North Head, located in Devonport, offers beautiful views of the Hauriki Gulf, Rangitoto, Auckland CBD, Devonport and the surrounding areas. 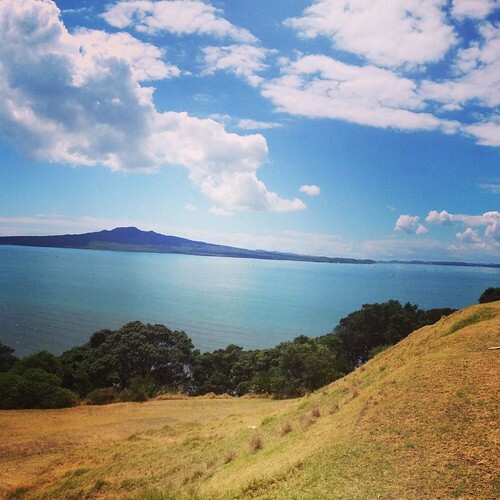 North head has been an important lookout and defense site for early Maori inhabitants and later for European settlers. It is home to a network of tunnels, guns and other structures, offering insight to the military history of North Head. Things to do at North Head include cycling, dog walking, exploring the historical remnants, swimming at Cheltenham Beach and plenty of photo opportunities. Devonport area: Devonport is a beautiful seaside village with a great selection of cafes and restaurants, history and heritage, shopping and scenery. Getting there: You can get to Devonport/North Head by car or ferry. Fullers operate a ferry service departing from the ferry terminal at 99 Quay Street, Auckland CBD for $11 return. This service departs regularly (approximately every half an hour) and takes around 10 minutes. This entry was posted in INTERNeX, Picture of the Week, Travel, What to do on the weekend and tagged auckland, beach, devonport, INTERNeX, new zealand, rangitoto, view on February 13, 2013 by INTERNeX New Zealand. 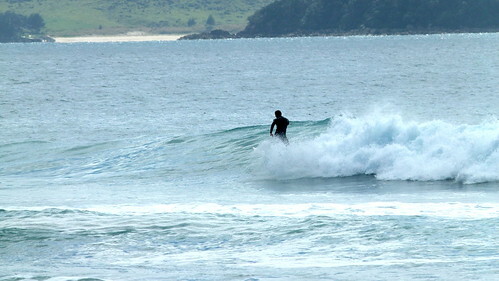 This week’s picture of the week is of Long Beach in Russell. Russell was the first capital of New Zealand and one of the first places where Europeans settled. This town has a rich history and is a great place to visit for tourists and New Zealanders alike. Passenger Ferries operate continuously from Paihia (See last week’s Picture of the Week) to Russell. Russell is a popular holiday town, with a variety of restaurants, accommodation, shops and bars as well as a beautiful beach. This entry was posted in INTERNeX, new zealand, Picture of the Week, Travel, What to do on the weekend and tagged beach, INTERNeX, new zealand, Russell on February 5, 2013 by INTERNeX New Zealand. MojoSurf Great Deal On Now ! 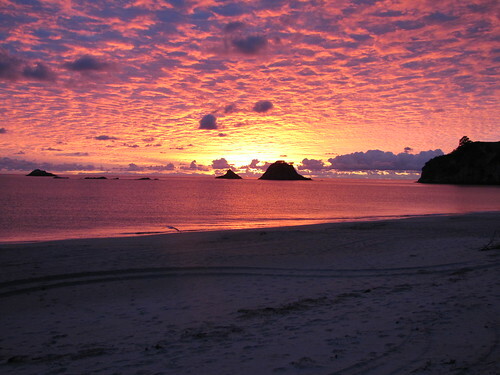 This trip include transfers from Auckland to Opoutere, (a really beautiful white sand beach on the Coromandel), then to Raglan, one of the most famous surf spots in the world with its black sand beach, and then back to Auckland as well as very cool dorm accommodation (I have been to both spots and they are great! ), a local tour and surf guide, at least one 2 hour surf lesson per day (5 for the 5 days trip and 10 for the 7 days trip) the equipment (surfboard and wetsuit), and of course the company of other young like minded people from around the world. Normally the 5 days trip is at 645NZ$ and the 7 days trip at 845NZ$ but with this deal, if you book and starts your trip before the end of March you get 150NZ$ off, making it at respectively at 495NZ$ and 695NZ$ and moreover if you book with INTERNeX we are going to give you 5% of this making the total cost $470 and $660. The Mojo mini coach leaves Auckland every Monday and brings you back on Friday or Sunday depending on your trip. For the meals, at the beginning of the trip everyone on the bus pays a $100 food kitty and you go to the supermarket where the meals including breakfast, lunch and dinner are purchased for the whole trip. If you have special meal requests these are taken care of at this time. So even if you never surfed before or you are already really good I can highly recommend this trip as it is really heaps of fun and a real taste of New Zealand. My favourite part is Karioi Lodge where you stay in Raglan is amazing, set in the bush in the heights of Raglan with a sauna and a scenic point to relax in the evening… I can tell you all of that because I have been on this trip myself thanks to Chris who sent me on a famil trip last November. The picture below was taken in Opoutere. If you are interested, call us, email us or even visit us at the office ! This entry was posted in INTERNeX, new zealand, Travel and tagged beach, black sand, Coromandel, deal, karioi lodge, mojo, mojosurf, opoutere, Pacific Ocean, raglan, sand, surf, tasman Sea, trip on March 8, 2012 by ixrobin.